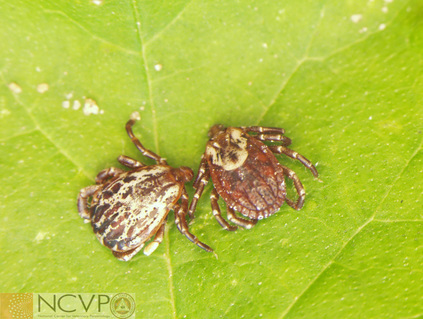 Amblyomma americanum, the lone star tick, is the most prevalent tick in the south-central and southeastern United States. 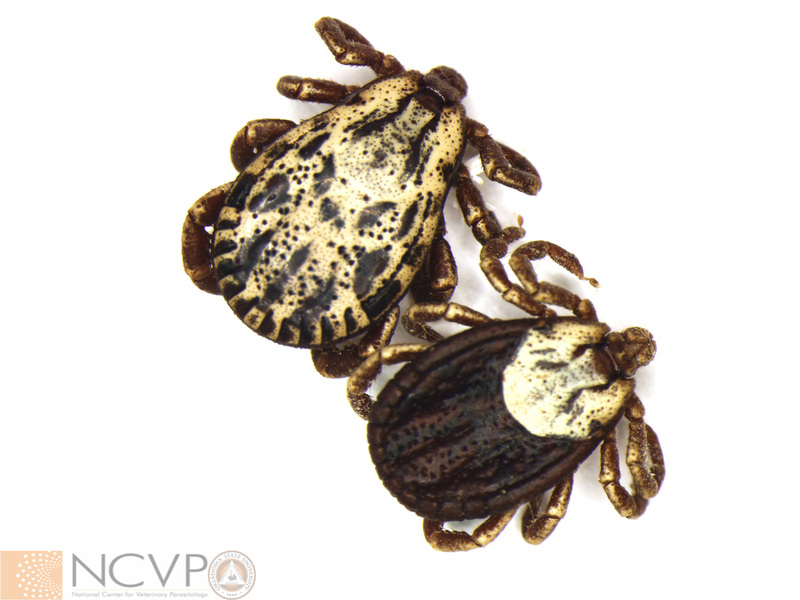 This tick is considered a generalist and will feed on a wide variety of avian and mammalian hosts. Clockwise from top: nymph, adult female, adult male, and larval Amblyomma americanum. 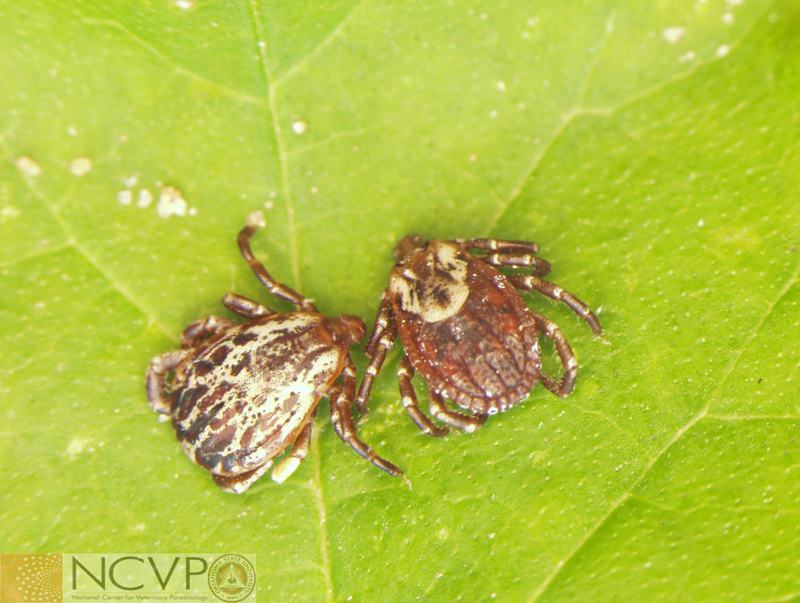 Adult female (left) and male (right) Amblyomma maculatum, the Gulf Coast tick. 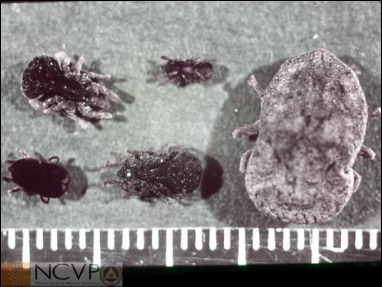 Adults of Amblyomma maculatum are some of the largest ticks in North America. Originally restricted to lands along the Gulf of Mexico, this tick can now be found as far north as Kansas and Oklahoma. Clockwise from top: nymph, adult male, adult female, and larval Amblyomma maculatum​​. 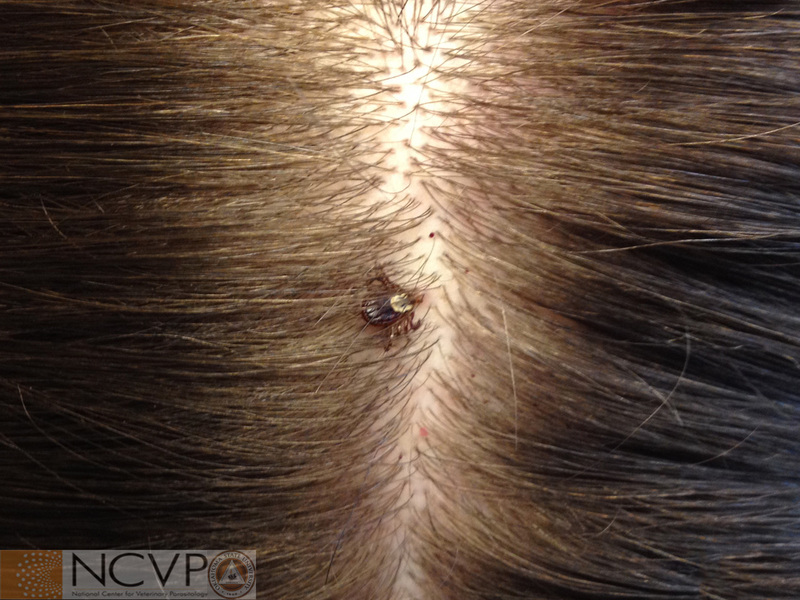 Adult female Amblyomma maculatum seen attached to the scalp of a human host. This species has been shown to be a competent experimental vector of Ehrlichia ruminantium and has been reported as vectoring Rickettsia parkeri to humans. 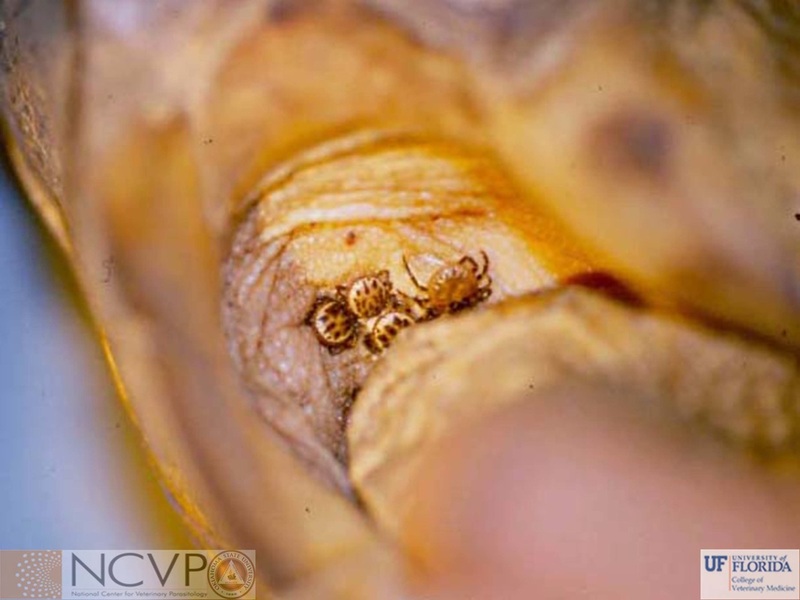 Amblyomma tuberculatum attached and feeding on a gopher tortoise (Gopherus polyphemus). The Gopher tortoise is the primary host for adult Amblyoma tuberculatum, but nymphs of the species have been reported on various reptilian hosts. 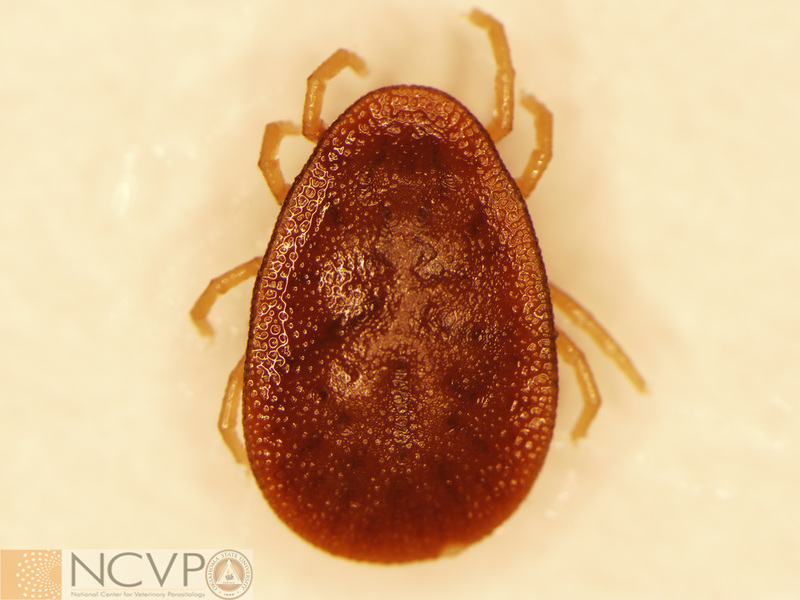 Dermacentor andersoni, the Rocky Mountain wood tick, is found throughout western North America. 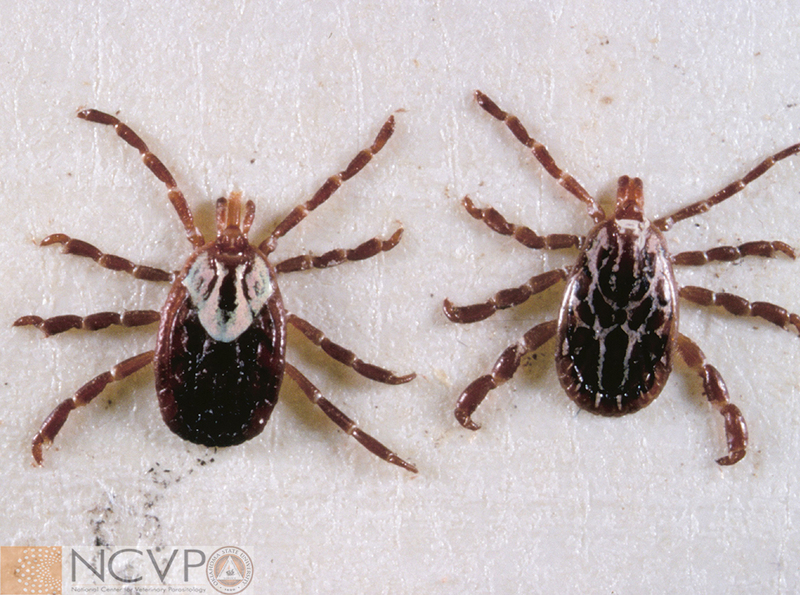 Dermacentor variabilis is known as the American dog tick. 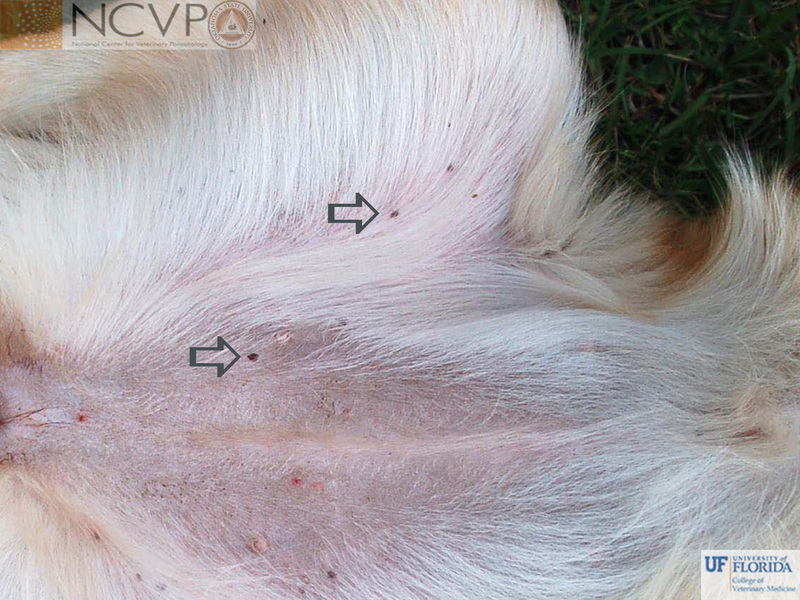 Even through this tick is found on dogs, the common name of Dermacentor variabilis is misleading as it is also routinely found on a wide variety of other domestic and wild animals. Clockwise from top: larva, adult female, adult male, and nymphal Dermacentor variabilis​. 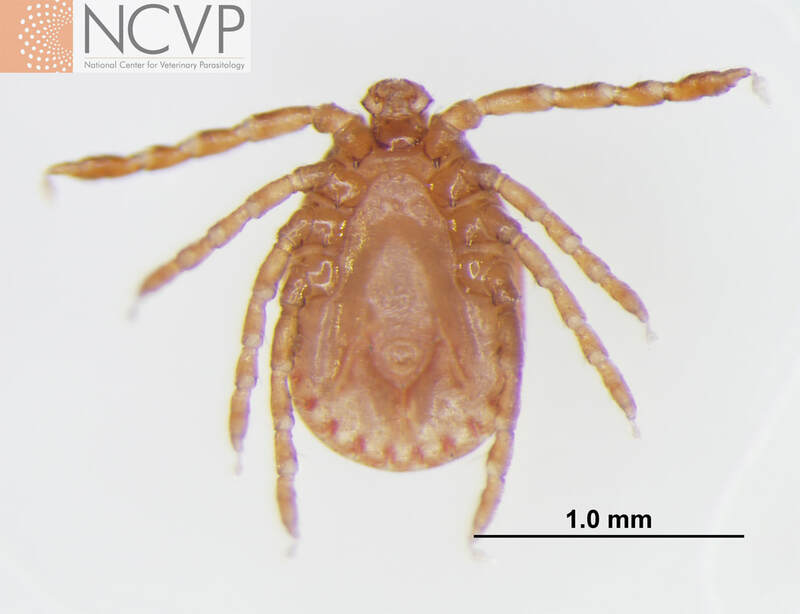 This is a dorsal view of a longhorned tick nymph. Note the laterally projected second palpal segments that allow identification to genus (Specimen kindly provided by Dr. Anne Zajac, Virginia Tech). This is a nymphal longhorned tick or bush tick, Haemaphysalis longicornis. 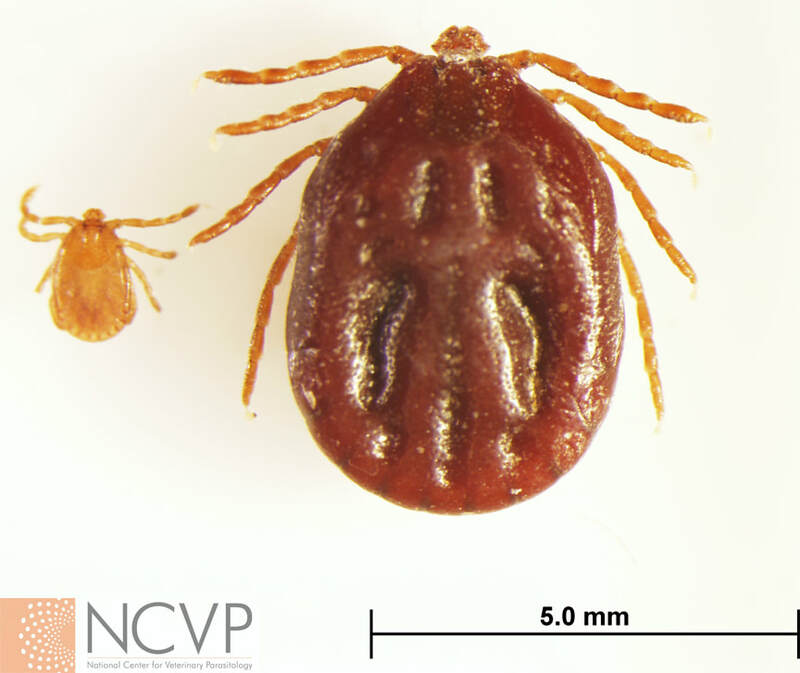 The prominent spurs on the first pair of coxae can be helpful in identifying this tick species (Specimen kindly provided by Dr. Anne Zajac, Virginia Tech). 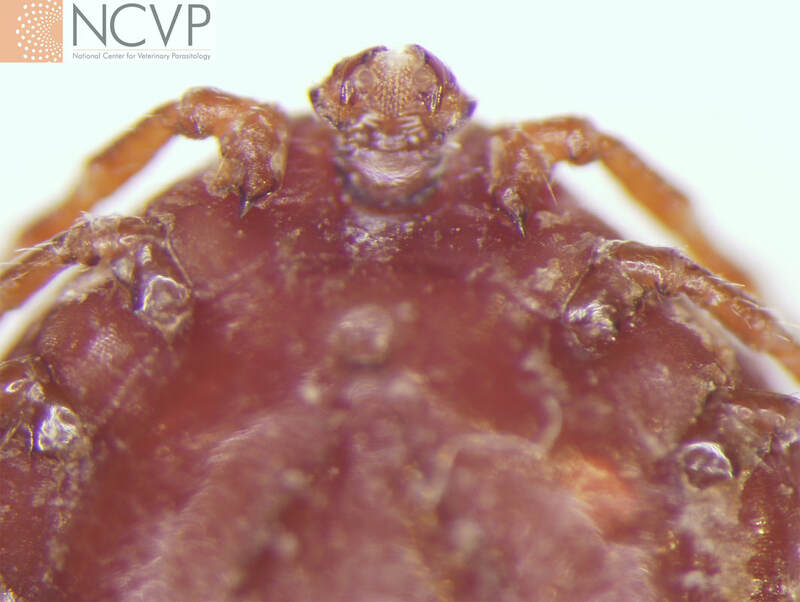 This is a ventral view of the anterior end of a female longhorned tick or bush tick, Haemaphysalis longicornis. Note the laterally projected second palpal segments and the prominent spurs on the first pair of coxae (Specimen kindly provided by Dr. Anne Zajac, Virginia Tech). The laterally projected second palpal segments characteristic of Haemaphysalis spp. 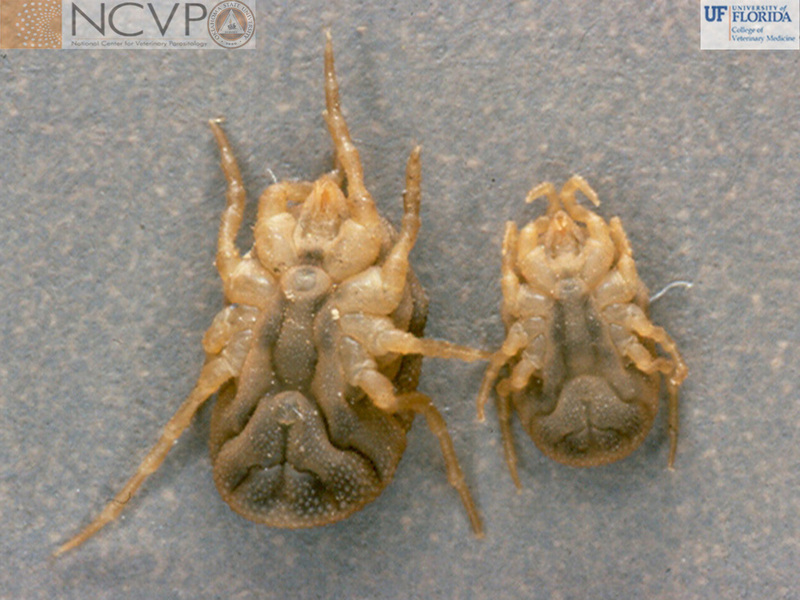 are visible on both the nymph (left) and engorged adult female (right) (Specimens kindly provided by Dr. Anne Zajac, Virginia Tech). 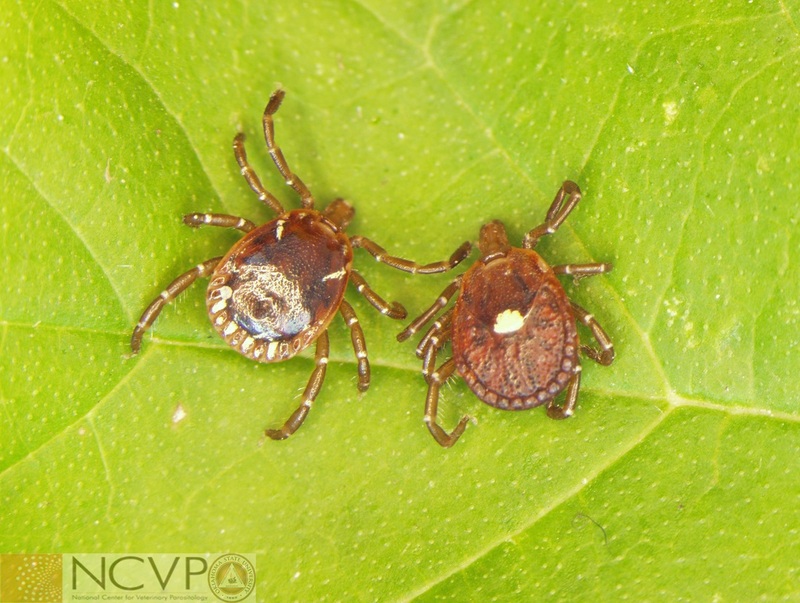 ​Ixodes scapularis is known as the black-legged tick or deer tick. 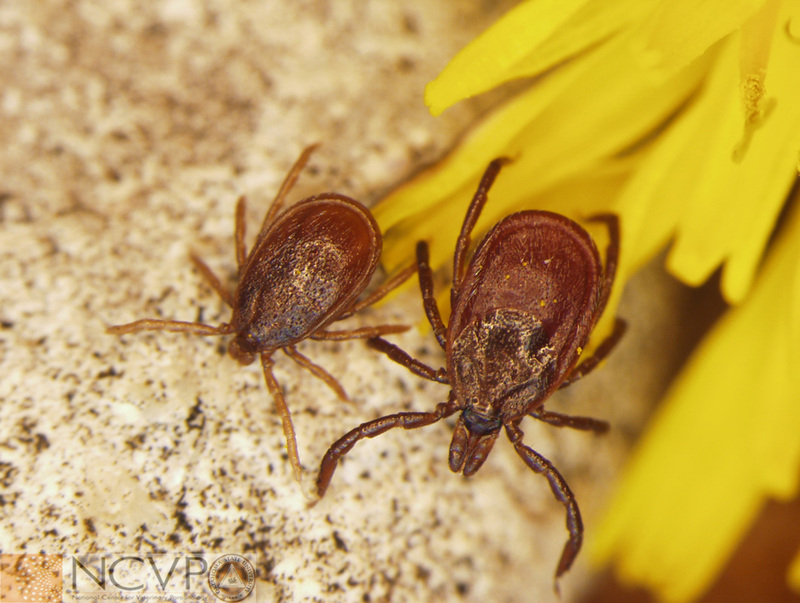 This tick is found in the northeastern, upper Midwest, and throughout the southern and south-central United States. 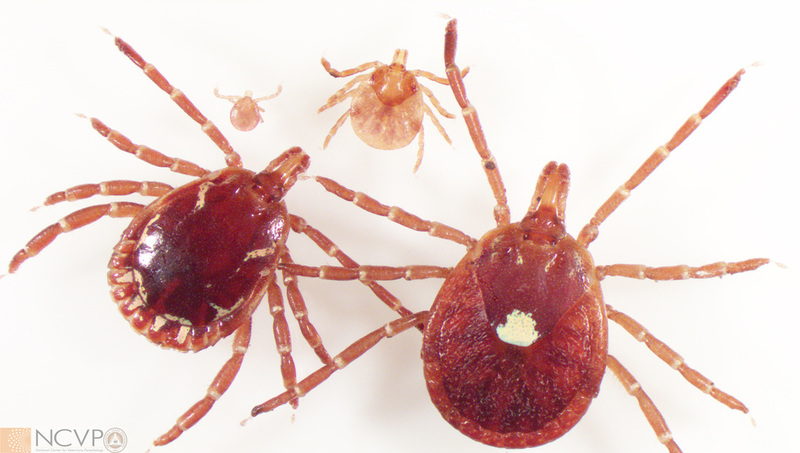 Differences in host preferences for immature stages in northern and southern ranges of this tick influence the occurrence and epidemiology of anaplasmosis and Lyme disease in the United States. Clockwise from top: larva, nymph, adult male, and adult female Ixodes scapularis​. Rhipicephalus sanguineus is known as the brown dog tick. Dogs are the preferred hosts for Rhipicephalus sanguineus but they can occasionally infest other animals including humans. Brown dog ticks are found across the United States and throughout the world. Clockwise from top: nymph, adult female, larva, and adult male of Rhipicephalus sanguineus. Note the hexagonal shape of the basis capituli which aids identification. Rhipicephalus sanguineus feeding in a dogs inguinal area and ventral abdomen. Two adults are indicated by the arrows. Adults, nymphs, and larvae may all be found on the same dog at one time. 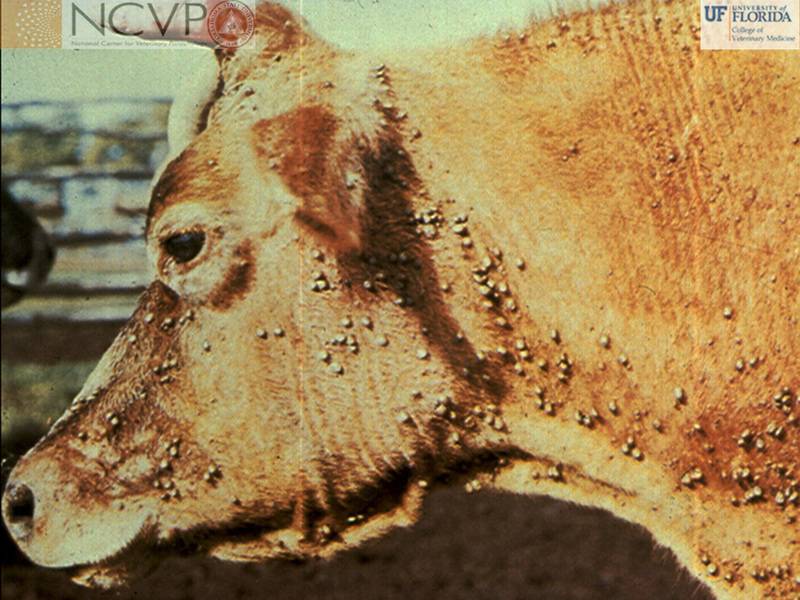 Cow infested with Rhipicephalus annulatus, the one-host 'cattle fever tick.' 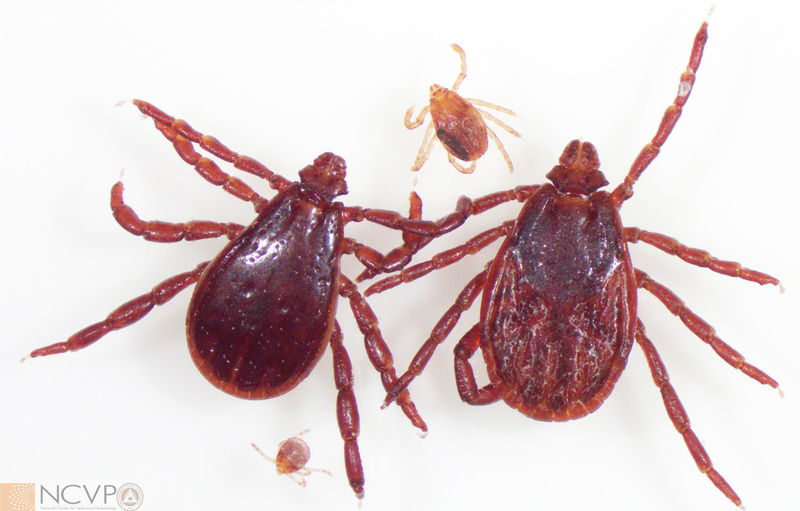 An important vector of Babesia bovis, Babesia bigemina, and Anaplasma marginale, an eradication effort against this tick began in 1906 and by 1943, it was eliminated from the United States, outside of a small quarantined area on the USA-Mexico border. Argas species (commonly called fowl ticks) are soft ticks that live in the environment and feed on poultry and wild birds. 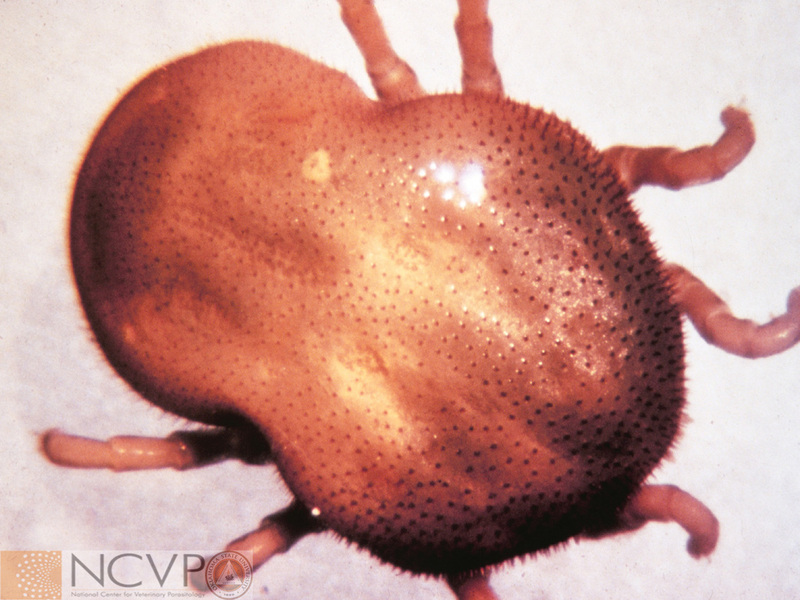 The mouth parts are not visible from the dorsal surface, which is characteristic of adult soft ticks. Note the granulated surface and flattened body margin. Nymph of Otobius megnini, the spinose ear tick. Larvae and nymphs feed in the external ear canal of ruminants and horses; these ticks are also sometimes found infesting camelids, small animals, and even humans. The adults are free-living and do not feed. Note the short spines covering the surface of the tick. A gathering of Ornithodoros species. 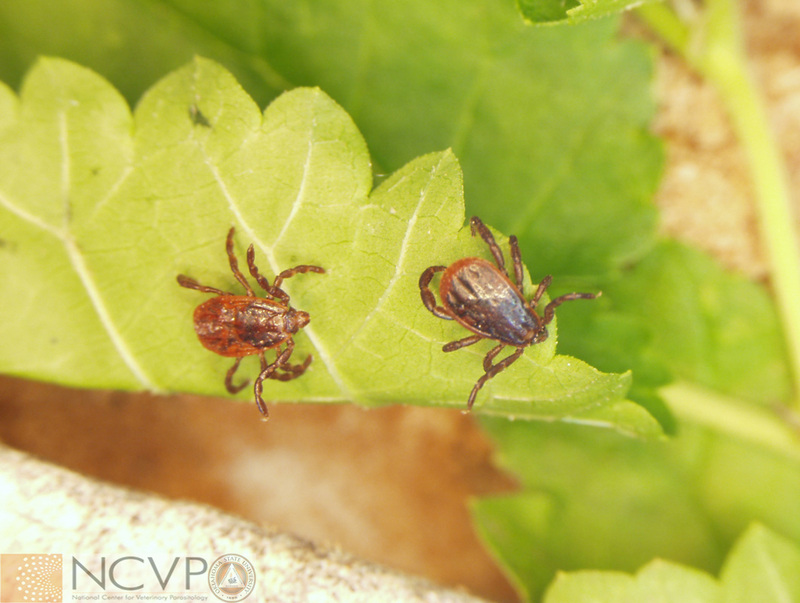 When not feeding, these ticks may be found near the resting places of animals. Ventral aspect of Ornithodoros turicata. 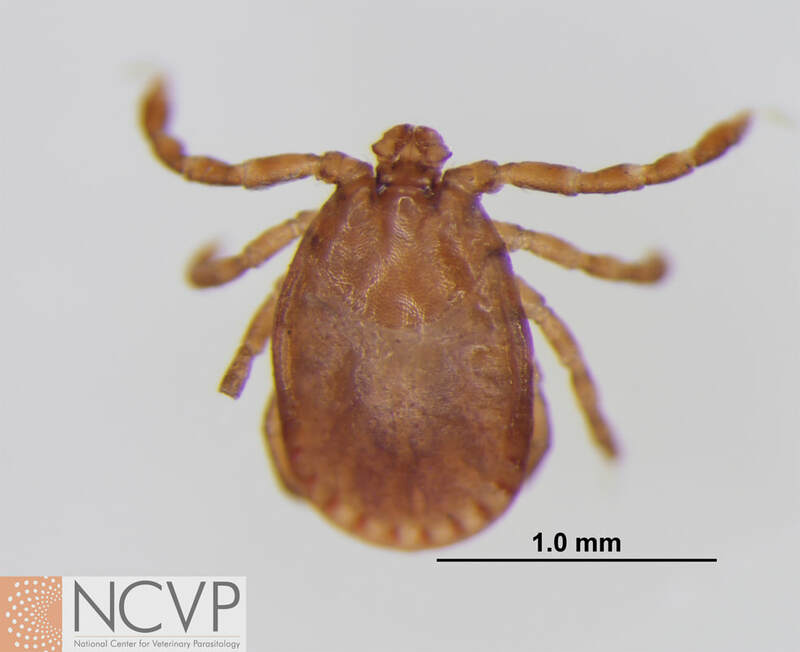 A soft tick of the southwestern United States, Ornithodoros turicata is a vector for Borrellia turicata a cause of relapsing fever in humans and thus is known as the relapsing fever tick.